Providing you the best range of Benzoyl Cyanide, Diisopropylamine Hydrochloride, N-Iodosuccinimide, Pyridinium Hydrochloride, Phenyl Chlorothionoformate and 4-(bromomethyl) Pyridine.hydrobromide with effective & timely delivery. 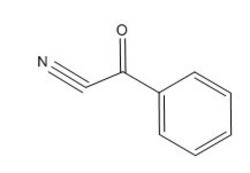 Uses : Reagent for selective acylation of amino compounds. Packing Sizes: 5g; 10g; 25g; 50g; 100g; 250g . Packing Sizes: 100g; 250g; 500g; 1.0 kg. Uses : It is used as an intermediate in the manufacture of pharmaceutical products. Uses : Reagent for thionocarbonylation of secondary hydroxyls & subsequent reduction to convert to hydrocarbon. Uses : Employed in the propargylation of spiro ketones , allylic alcohols & enones complexes,chemical intermediates, soil fumigant. Packing Sizes : 250g; 500g; 1.0 kg. Please inquire about bulk quantities. Catalogue # : CGI-1413 CAS No : 110-71-4 Chemical Formula : C4H10O2 Molecular Weight : 90.12 Synonyms : ethylene glycol dimethyl ether Properties: mp : -690C bp : 850C (lit) density : 0.867 g/ml at 250C Fp : 320F Storage temp : 2-80C Sensitive : Moisture Sensitive Uses : Solvent to facilitate the formation of alkali metal- hydrocarbon adducts in the Reformatsky reaction with methyl - bromocrotonat Packing Sizes: 5g; 10g; 25g; 50g; 100g; 250g; 500g .